This image is a compilation of several of my favourite things to paint. 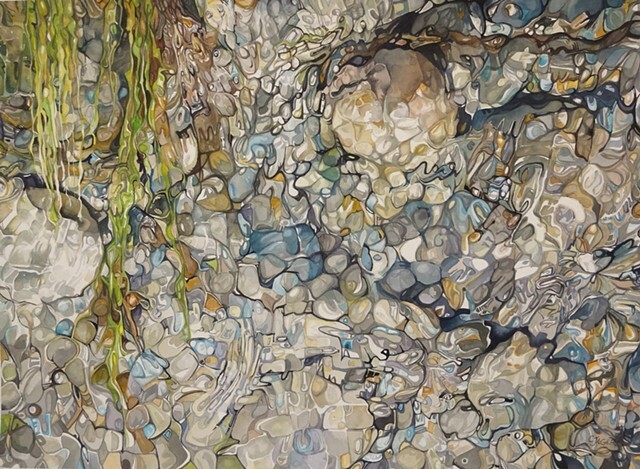 I love water, and the random and flowing reflections it creates, I have a strange affection for rocks, and I love to "doodle". These three elements together create an organic, abstracted image with a soothing and peaceful result.